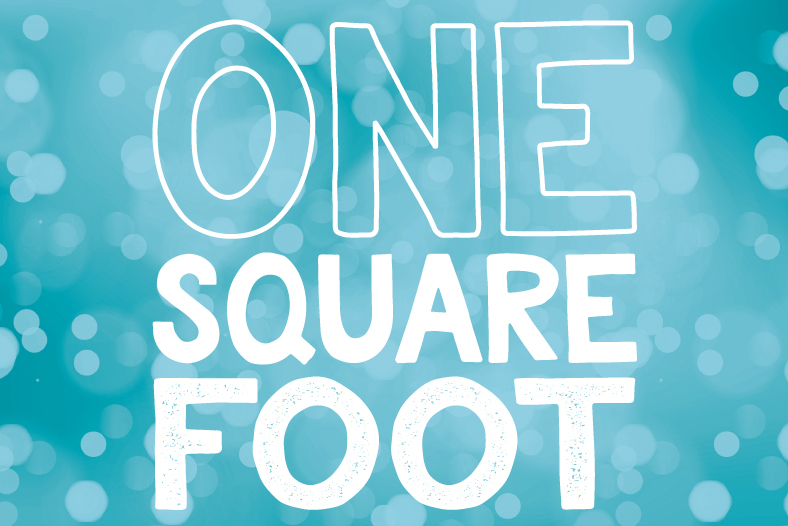 ArtReach St. Croix is looking for artists to participate in One Square Foot, our 2019 fundraiser. We will continue the juried exhibition of original artwork that we began in 2018. Each piece of work is limited to one square foot in size (or one cubed for three dimensional work.) This is an opportunity for artists to showcase their work among a juried selection, gain visibility among local arts collectors and enthusiasts and support the arts in the St. Croix Valley region of Wisconsin and Minnesota. Artists will be notified of the jury decisions. Online gallery will be live and event postcard with select images will be mailed. Please note new location above. Entries of original artwork will be accepted in painting, drawing, printmaking, photography, sculpture, mixed media, assemblage, jewelry, glass, ceramics, fibers, wood and metal. 2D artwork should be ready for display and hanging. Artwork smaller than one square foot, such as jewelry, small paintings and textiles, should be displayed, or be ready to be displayed on a 12”x12” board, canvas or shadow box. Work must be framed, wired, pre-assembled and ready to hang. If there is a complicated installation, plan to assist with setup on Thursday, June 13. Artwork may be submitted online or in person with the provided submission form. Artwork not submitted in person, but selected for the auction, should be dropped off at ArtReach St. Croix, 224 N. 4th Street, Stillwater, MN, 55082, no later than 4pm on Saturday, May 18. All artwork should include a label with artist name, title of piece, medium and price. Artwork is subject to a jury panel for consideration in the auction. Jurors are not staff members or affiliates of ArtReach St. Croix. Deadline to submit artwork for jury consideration is 3pm on Monday, April 22. Digitally: Use this online submission form. You will need to provide one (1) high quality, high resolution images of one piece of artwork. The image should be at least 2MB (12”x12” image at 150ppi) or for best display during the jury review. Up to two additional detail images of the submitted artwork can be emailed to syndie@artreachstcroix.org. In Person: Original, completed artwork may be dropped off at ArtReach St. Croix, 224 N. 4th Street, Stillwater, MN 55082. Original artwork should be accompanied by a completed submission form. Whether submitted digitally or in person, artwork submission should include a description of the piece (approximately 85 words) and an artist bio (150 words or less). This information will be used for the jury review, online gallery and at the fundraiser. This auction is a fundraiser for ArtReach St. Croix. However, we are invested in supporting artists for their work. You may choose between fully donating the proceeds from the auction of your piece to ArtReach or splitting the proceeds, with 40% going to you and 60% going to ArtReach. Your choice has no impact on the jury’s selection of exhibition artwork. All applicants, regardless of the jury’s decision, are invited to take part in our Buy One Get One Admission offer. Tickets for the ArtReach St. Croix Auction are $35 in advance or $40 at the door. Applicants are invited to purchase tickets ahead of time for $35 for two tickets. This will allow you to bring a friend or significant other with you to this celebration of art in the St. Croix Valley. To take advantage of this BOGO offer, please use coupon code ARTISTBOGO19 when ordering tickets. Tickets go on sale at 10am on March 31, 2019. This code is nontransferable and can only be used by the artist submitting artwork for consideration. Your participation in this offer has no impact on the jury’s selection of exhibition artwork.